After freshening up and unpacking some stuff, we all went straight to bed as we have a very very long day ahead of us in the Land of Smiles. I am pretty sure I didn't get a good night sleep because I was beyond excited. My friends planned our itinerary and computed our transpo expenses and found out the price would just equate or just a teeny tiny above getting Grab or Uber rides around the city so we decided to avail of the latter. We got stuck in Bangkok once in a while but hey we were comfy and we needed the energy for all the walking that we did in BKK. We had three main reasons why we wanted to visit Bangkok: temples, food and shopping. I've always wanted to try the nightlife in other countries that I visit. 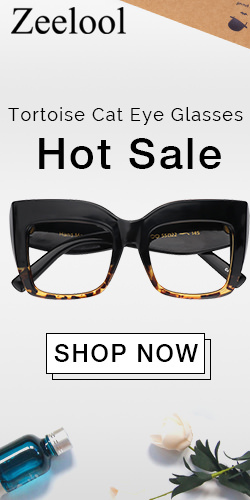 Unfortunately due to limited time (most of time) I don't get to do that. But when we were in Bangkok I was able to convince my friends to check it out at least. 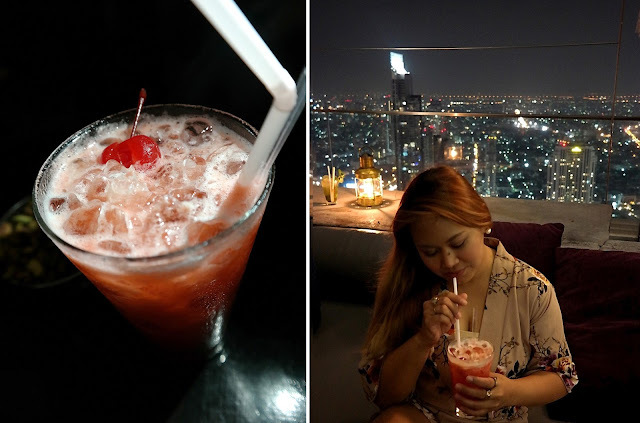 So I searched online where we can go that's just chill and first returned by Google was the Sky Bar in Hotel Lebua or State Tower. Hotel Lebua is one of the top notch hotels and the second tallest building in the heart of Bangkok and houses several dining and drinking options. Its 64th floor houses a cluster of them which includes: Distil Bar, Flute, Sirocco and Sky Bar. Sky Bar is considered one of the most famous rooftop bars in the world. It was featured in several international publications like Harper's Bazaar UK, The New York Times and The Guardian, as one best rooftop bars in the world. Sky Bar would also be familiar to you if you've seen Hangover Part II where it was featured in some of the scenes of the movie. A door man will greet you at the lobby and will direct you to a line where an elevator will take you up to the 64th floor. Everyone who wants to enter needs to buy a drink or two. We were first ushered to the veranda area of the Distil Bar where there are lounge seats and cocktail tables. 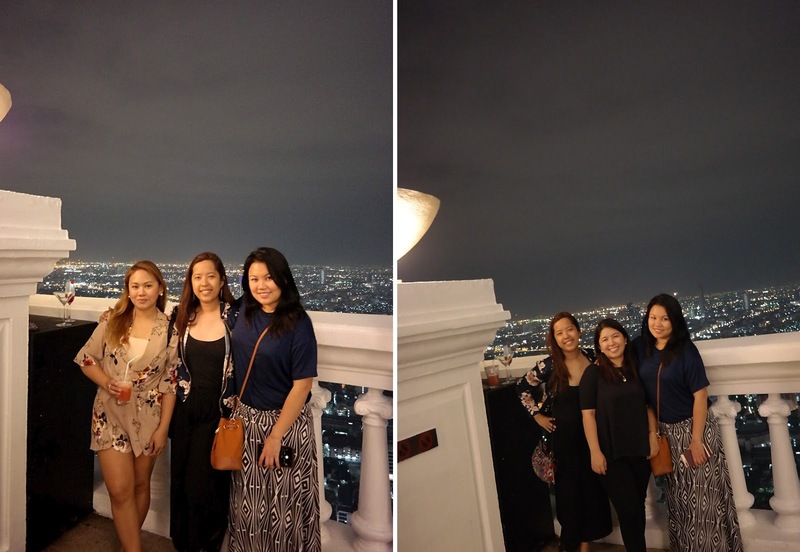 You can stay there for as long as you want and then just ask one of the hosts to take you to the Sky Bar which has a better view of the city. Upon entering, there's a landing where staff will offer to take your pictures. 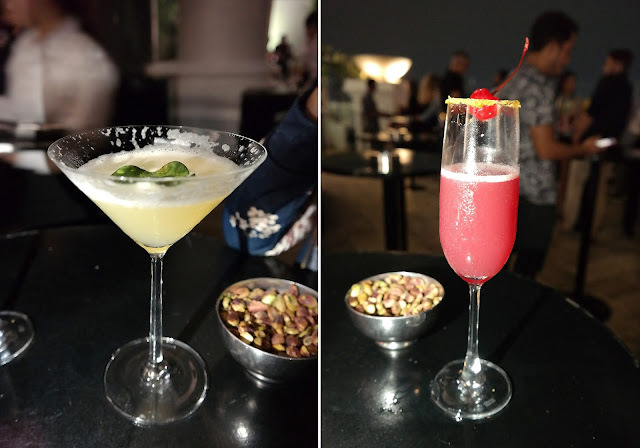 But you can't just go to all the areas like at the Sirocco (the open air restaurant adjacent to the Sky Bar) unless you are having dinner there. Moreover, though the stairs is IG-worthy, you can't stop on your way down to take photos perhaps for safety reasons. Sky Bar is vertigo-inducing and not for those who have fear of heights. 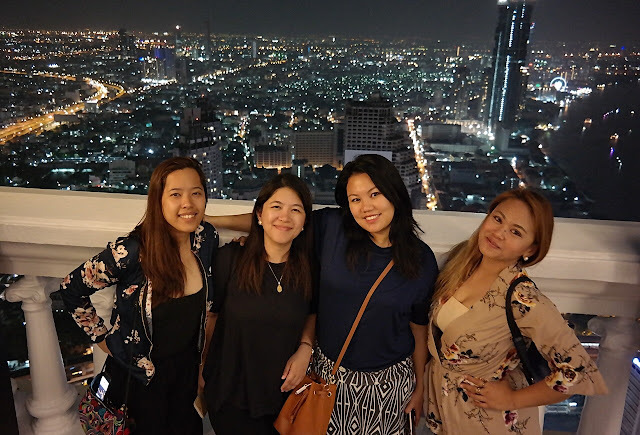 One will gasp at the sweeping views of Bangkok City through which the Chao Phraya river glistening in the moonlight in the distance. And as if the view wasn’t dazzling enough, the illuminated circular bar changes color every few seconds. Both Distil and Sky Bar offers carefully curated cocktails. Mind you though the prices of drinks here ain't cheap but expect nothing but quality drinks. The experience is also worthwhile. We stayed for a couple of hours and just enjoyed the view. 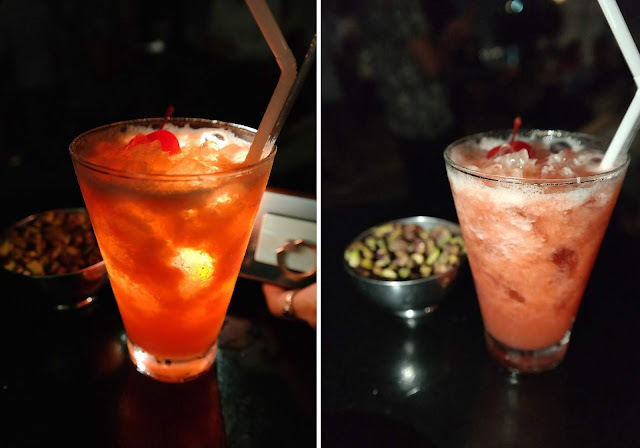 Did my want to experience the Bangkok nightlife satisfied? Partly. We can't at the time because our flight the next morning is early. But hey, there's always a next time and maybe then I can party hard LOL!